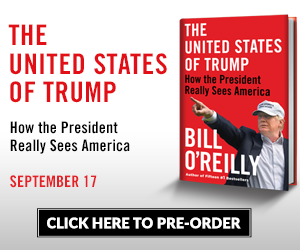 Bill O'Reilly: U.S. Citizenship Quiz - Get 15 or more correct to pass! Get 15 or more correct to pass! 1. Who is considered to be the "Father of Our Country"? 2. Who wrote the Declaration of Independence? 3. What is the supreme law of the land? 4. The notion of self-government is present in the first three words of the Constitution. What are the three words? 6. How many amendments does the Constitution have in total? 7. What is one right or freedom NOT provided by the First Amendment? 8. How many U.S. senators are there and how long is a senator's term? 9. Why do some states have more representatives than other states? 10. What other position does the commander in chief of the military hold? 11. If both the president and the vice president can no longer serve, who becomes president? 12. Which of the following is not a branch of government? 13. What stops any one branch of government from becoming too powerful? 14. Under our Constitution, some powers belong to the federal government, and some powers belong to the states. Which is not a power of the federal government? 15. Who was president during World War I? 16. Who did the United States fight in World War II? 17. How old must a citizen be to vote for president? 18. What is the economic system in the United States? 19. Which state does not border Mexico? 21. When is the last day you can send in federal income tax returns? 22. What is the political party of the current president? 23. What is the capital of the United States? 24. What do the stripes on the American flag represent? 25. Which of the following is not a federal holiday?